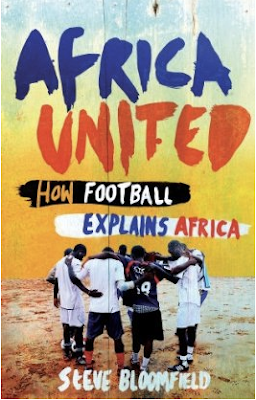 "Africa United is the story of modern day Africa told through its football. Travelling across 13 countries, from Cairo to the Cape, Steve Bloomfield meets players and fans, politicians and rebel leaders, discovering the role that football has played in shaping the continent. He recounts how football has helped to prop up an authoritarian regime in Egypt, end a conflict in Ivory Coast, and provide a tiny ray of light in war-torn Somalia. Steve Bloomfield’s wide-ranging and incisive book investigates Africa’s love of football, its increasing global influence, the build-up to the 2010 World Cup itself and the social and political backdrop to the greatest show on earth." Kanu's star faded a zillion years ago!